The IMPULSE•D+ is a high-performance Active Front End regeneration unit in a chassis drive layout. The Active Front End technology allows the IMPULSE•D+ to minimize line harmonics below IEEE 519 requirements and regulate a consistent DC bus voltage. 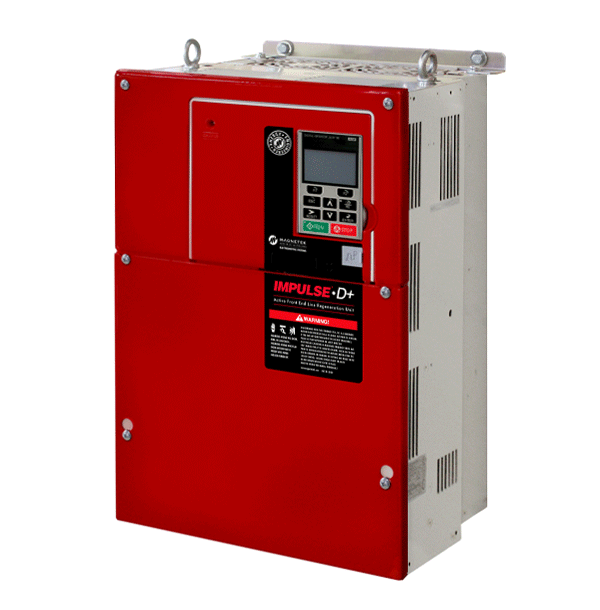 Combining the IMPULSE•D+ with IMPULSE•G+ and VG+ Series 4 variable frequency drives will provide you with the most energy efficient, durable, and feature-rich crane control system available.